Show off your best assets in this crop top. 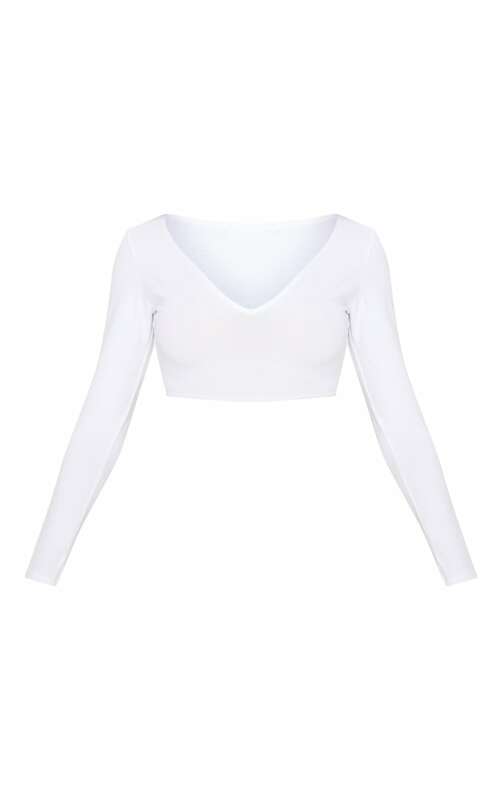 Featuring a white material with a V neckline and long sleeves. Style this crop top with cargo trousers and fresh kicks for an off-duty look we are loving.